Today, Microsoft pulled the plug on it’s Garage Project App – Cache. Let’s review the details of the announcements and possible alternatives. Last summer, Microsoft launched a new app called Cache from its experimental incubator, the Garage Project. The app focused on providing a scrapbook for users to collect and store a wide variety of information in various formats. We wrote about the app’s when it was announced. 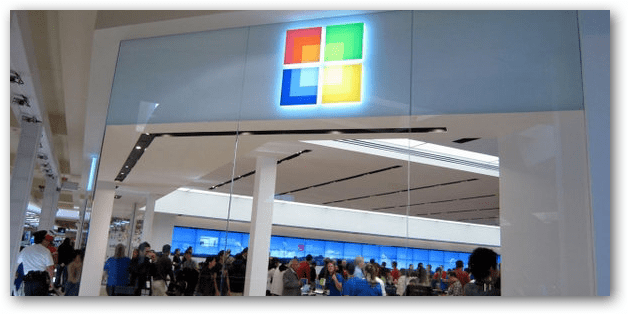 We were very impressed and had hoped Microsoft would iterate on it. Unfortunately, early today the team behind Cache announced it was ending development. Cache was made available as a preview download for Windows 10, along with a preview for a iOS from Test Flight. I noticed last week, I wasn’t able to download the app on my iPhone from Test Flight, but thought it was probably a bug. Although I didn’t get around to testing the app fully, it seemed promising. Cache’s key feature was its ability to consume and organize media from a variety of sources, whether was a web page link, a screenshot, tweet, a picture saved or even Microsoft Office documents. Cache also made it easy to share or incorporate that content into other applications. Last year, we set off on a mission to build the simplest way for people to organize their digital stuff around the things important to them, and evolved the OneClip app to Cache. 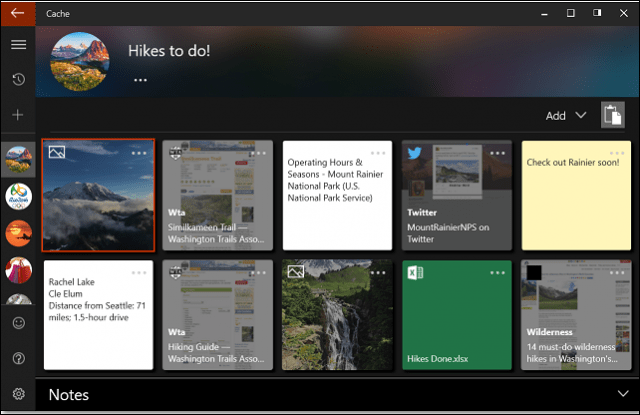 We launched through The Microsoft Garage to bring Cache to you and learn from your feedback. Over the course of this year, we learned that there was an appetite for a service like Cache, but more importantly, your feedback taught us a lot about the extent of the challenges people have with managing and organizing their work. Moving forward, we won’t develop Cache as a stand-alone product anymore, and we will shut down the Cache service on the 28th of February, 2017. All Garage projects are experiments by definition, and thanks to vocal, passionate people like you, this experiment leaves us better equipped to tackle our original mission to help people easily organize their stuff. Thanks again for trying an early version of Cache and contributing to the next generation of products that reinvent productivity. Users should be aware; this is a reality of Microsoft’s Garage apps, they are experiments, which will come and go at any time. The idea is to spin up something quickly and fail fast. In other words, build, learn, move! So far, quite a few have stuck around such as Microsoft Selfie and FindTime Add-in for Outlook. Fortunately, the market is flooded with alternatives users can use to achieve similar functionality. The company’s already popular OneNote makes it easy to capture and store content, and third party extensions like Pocket are available Microsoft Edge or built into browsers like Mozilla Firefox. Recently, I have taken a liking to Google’s Keep, which provides similar functionality with intelligence added to your data. It’s worth checking out. As for Cache, it’s possible whatever came out of this short development experiment will be incorporated into established apps like OneNote or even parts of the Windows 10 experience like the Action Center.